When we dislocate something – called luxation by the experts – the surfaces of the joint are separated from each other. You will certainly be aware of the term dislocation. The dislocated bone jumps, so to speak, out of its socket. The articular surfaces shift relative to one another and jam in an unnatural position. If one takes English idioms literally, we can twist almost any part of the body we like: our necks out of curiosity, our tongues when attempting a tongue twister or even somebody's arm in an act of persuasion. We can even twist somebody around our little finger. But in reality we can only twist (dislocate) our joints. Dislocations occur particularly often in the shoulder, the elbow or the fingers. The good news: a dislocated bone can usually be "reduced" quickly and gently. Sometimes a (sub-)luxation spontaneously reduces itself if it hasn't been dislocated completely. There are various types of joint in the human body: hinge joints in the knees, elbows and fingers, a pivot joint between the radius and ulna and saddle joints at the base of the thumbs. Ball and socket joints provide for movement of the hip and shoulder joints. Joints generally consist of a joint head and a socket. These are separated by a layer of cartilage. The joint capsule surrounds the joint and, together with ligaments, tendons and muscles, forms a protective outer envelope. 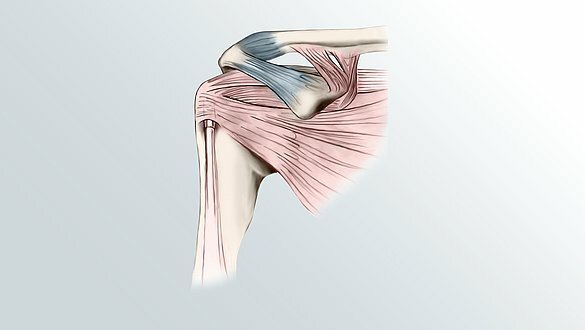 In comparison to the other joints, the shoulder can be dislocated relatively easily. The joint's socket is small in relation to the head of the humerus. Although this makes the joint enormously mobile, it also makes it unstable. A dislocation or subluxation is very painful. 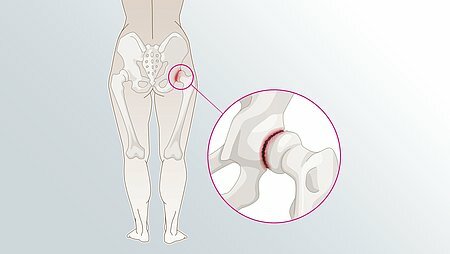 The affected joint cannot be moved and is often swollen. If nerves have also been injured, it is accompanied by pins and needles and numbness. The doctor can usually find out whether the socket is empty just by palpation. He usually takes X-rays to rule out secondary injuries such as a tear in the joint capsule or ligaments or broken bones. Dislocations of the finger joints are common among volleyball players. For example, when volleying the ball with outstretched fingers. By contrast, dislocations of the shoulder and elbow joints are usually caused by falls. Everybody automatically tries to break their fall with their arms and hands. The impact not only forces the bone out of the shoulder joint, but ligaments, tendons and muscles are also inevitably stretched. This is why the chance of dislocating the shoulder is higher if it has already been dislocated before. Patients with chronic instability, i.e. if the joint has not formed properly or if the ligamentous apparatus of the shoulder joint has become lax, may suffer spontaneous dislocation (habitual dislocation) without any external influence. We cannot specifically prevent dislocations. But well trained muscles and co-ordination training can help keep the joints healthy. In sports, the proper equipment and defensive sporting behaviour protects against falls and collisions. How can dislocations be treated? The immediate first aid measure is to hold the joint as still as possible and cool it. Dislocated joints may only be reduced by a doctor – and as quickly as possible. Depending on the patient's sensitivity to pain, local anaesthesia may be used for minor dislocations, for example, the joints of the fingers. If the shoulder joint has been dislocated, the patient is usually given a short general anaesthetic (dissociative anaesthesia). There are various ways of reducing dislocated shoulders. They are all based on the same principle: pulling on the upper arm. The arm is turned outwards at the same time. The head of the humerus clicks back into the socket and the shoulder is then back in its old position. If it isn't possible to reduce the joint in this way, surgical reduction (repositioning) is performed. General anaesthesia is necessary for this. The shoulder is then immobilised for eight to ten days using elastic supports, splints, slings or a plaster cast. The shoulder orthosis for immobilising the arm, medi Arm fix, and the shoulder support Omomed from medi offer the patient as much freedom of movement as possible. It is easy to put on without help from others. Since the capsule may shrink if the arm is immobilised for a long time, careful mobilisation should be started as soon as possible.